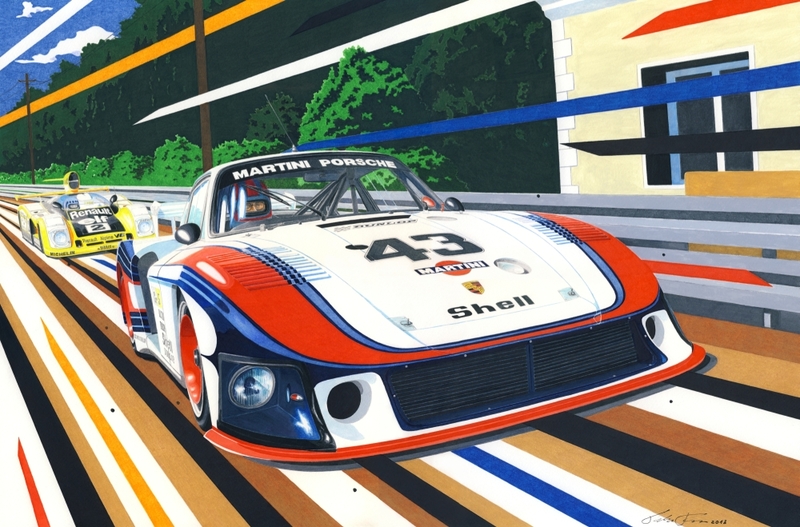 The drawing is showing the battle between Porsche 935 Mobydick of Rolf Stommelen and Renault Alpine A442-B of Didier Pironi, who was the eventual race winner. Limited to just 99 prints, each signed and numbered by Miha, for 59 euro a piece. Open edition a3 size prints are available for 37 euro a piece.